Launching today, BlockAvenue from Cambridge, MA. plans to take on the literal world of location based everything. They have utilized a massive amount of data points to give the user an actual interpretation of a real neighborhood. It has a powerful potential when it can be used by the public to determine the value or lack thereof regarding their neighborhood or potential neighborhood. Tony Longo, Founder of BlockAvenue, has the ambition to take this company to the public with a necessary product that provides real value in daily use. It’s engaging, interactive and informative, and that is a rare thing of value. After a beta review of the product, I see that this potential and the ease of use are extremely valuable. I can travel and have a full view of the place I am staying and the types of businesses I would like to visit, such as restaurants, hotels, where to get gas, and what areas I should avoid due to crime statistics. I enjoyed really zooming into the circles that provided more information, or would clearly provide it at some point. Interactive public engagement will make this product a travel or moving necessity. 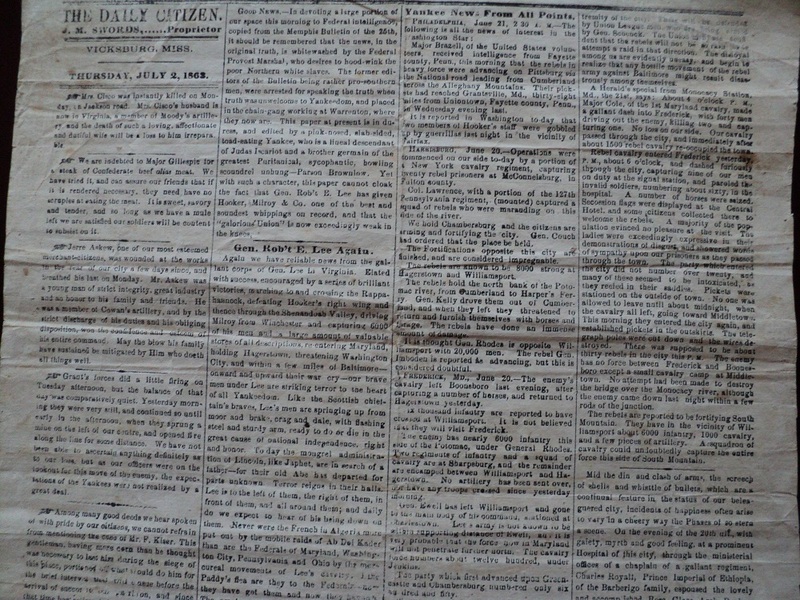 In light of President’s Day, I would like to share a story and a rare newspaper involving the days of President Lincoln. 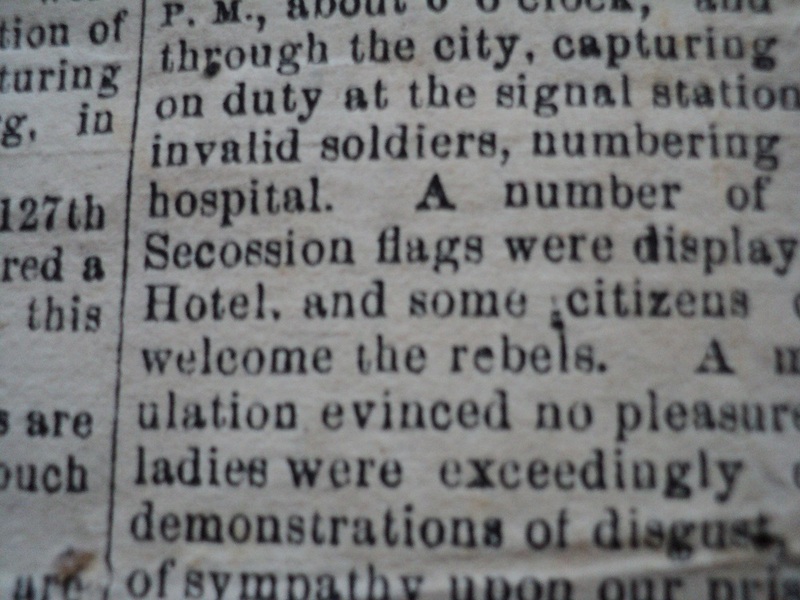 The civil war was nearing an end, the south was struggling for supplies, and the northern army was told to take the city of Vicksburg, Mississippi. 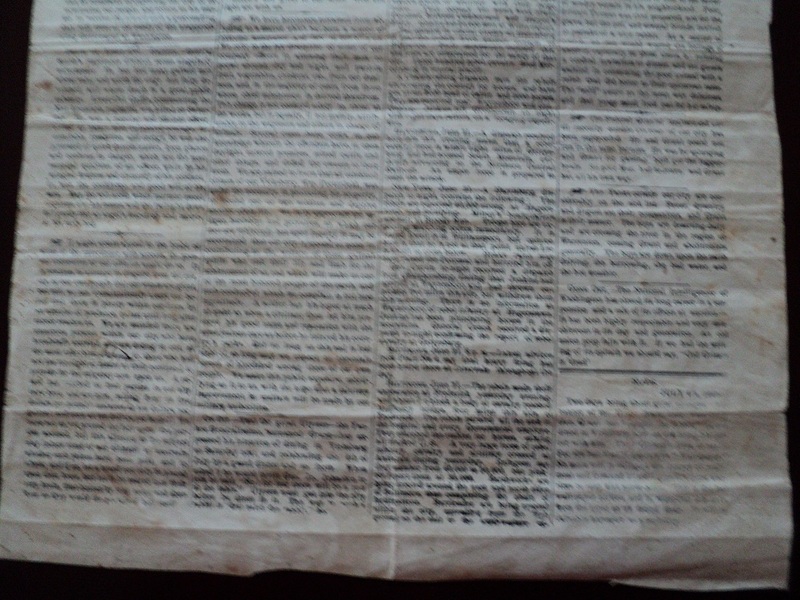 The south had a printing press, but was running out of paper. J.M Swords felt that it was necessary to give a public bashing to the north, in support of his beloved confederacy. 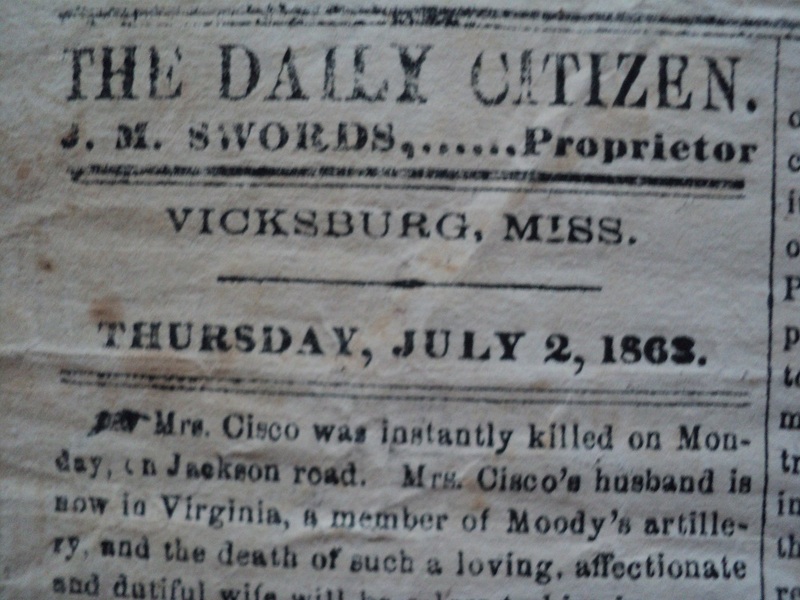 So he prepared the print for the 1863 edition of The Vicksburg Daily Citizen, on the only paper he had left, wallpaper. 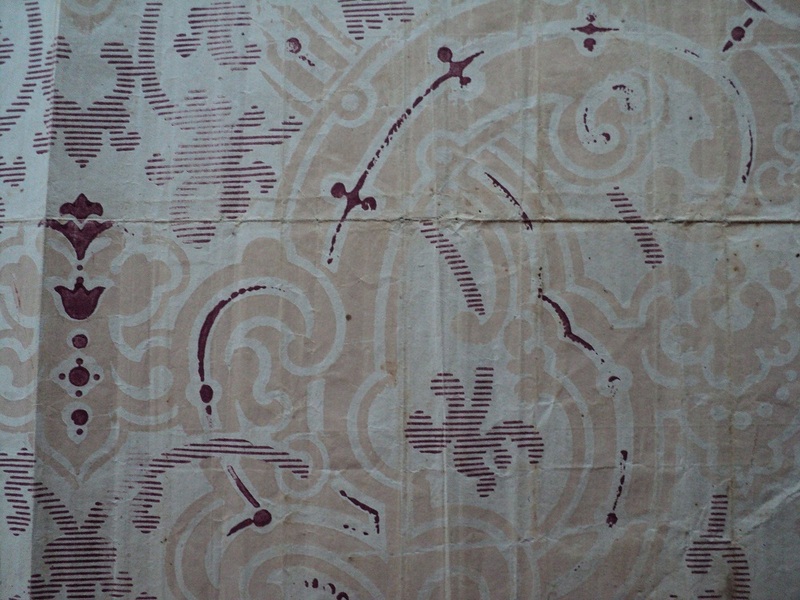 This paper is so famous that it has been reprinted thousands of times, and originals are extremely rare. So rare, in fact, that the Library of Congress has adopted special criteria for this paper to be authenticated. 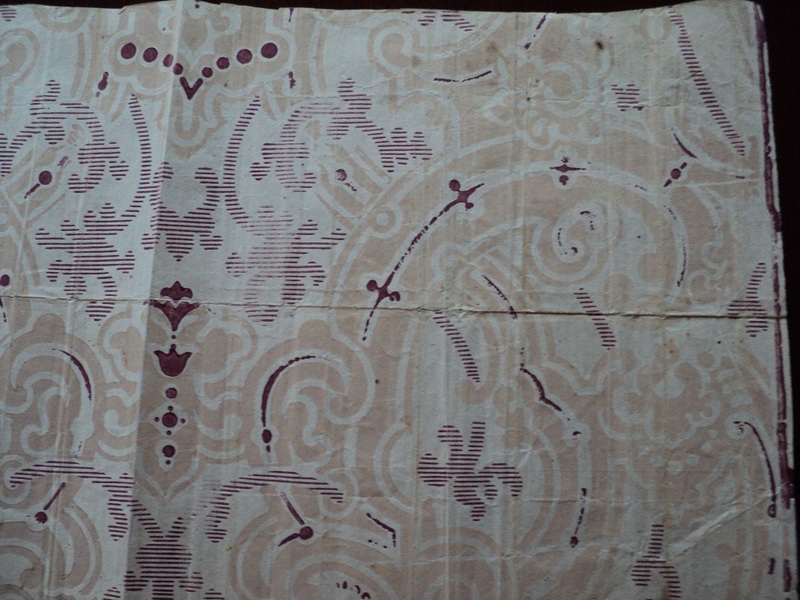 This paper, seen here, is an original. 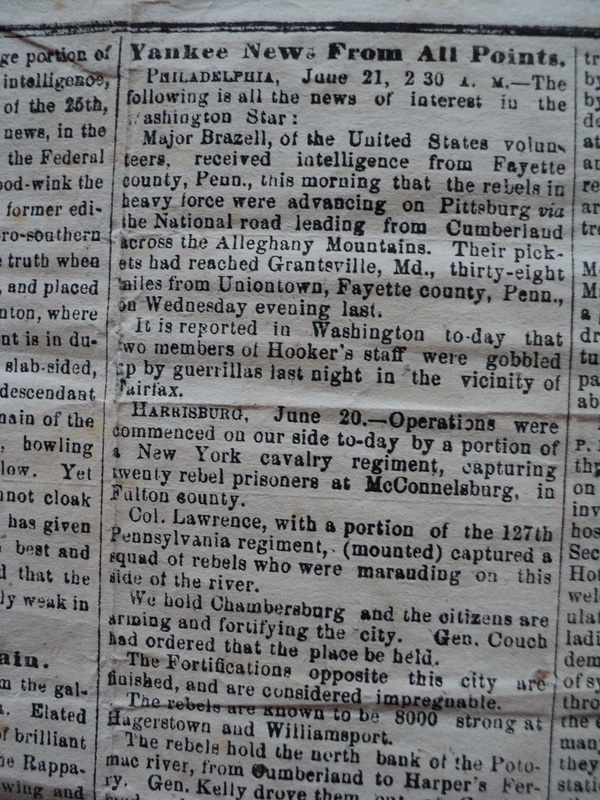 It is another stroke of luck found in an old box of newspapers given to me. 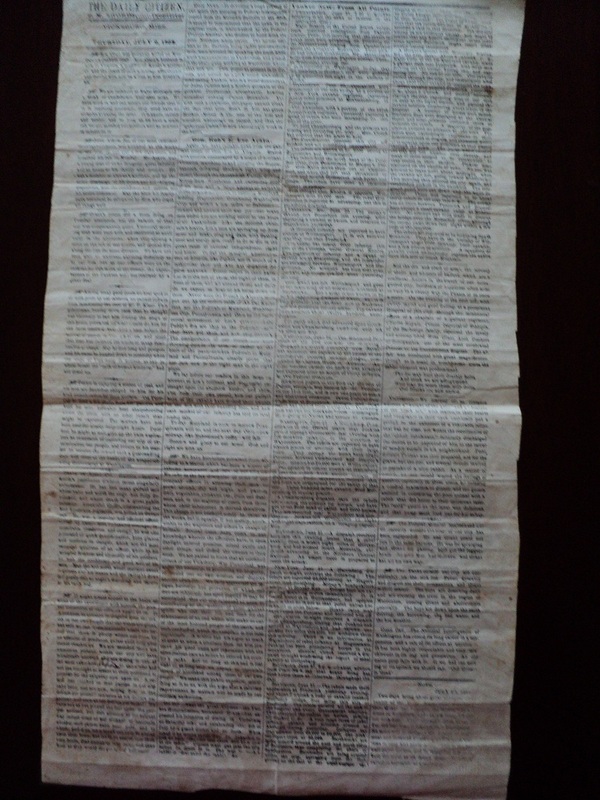 What makes this paper so amazing is that the south never printed the paper, the north invaded and took the area, added a very famous “note” to the bottom of the paper, bashing the south, then the north printed it. So on this President’s Day, enjoy viewing this rare antiquity.